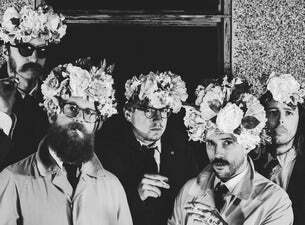 Fresh off the road on their first global tour, Bristol, UK 5-piece IDLES have announced they’ll be headed to New Zealand this summer – performing at The Tuning Fork in Auckland on January 21. Following a revelatory festival season, massive US and European tour and playing to a sold-out London Forum just days ago, IDLES are in good stead to finally make their New Zealand debut. Armed with their critically acclaimed sophomore release “Joy As An Act Of Resistance”, a record that champions vulnerability, openness and community, matches their quirky on stage charisma filled with deeply important and emotionally moving moments and ridiculous antics including dancing, hugs and many laugh-out-loud moments. Having been through a tough year for more reasons than being able to count, frontman Joe Talbot denounces the pain across the show - sweating, singing and dancing out these frustrations to their most empathetic music being made right now, as well creating an atmosphere within the audience to genuinely feel part of an important musical community. This headline show in Auckland will be a moment that will live long in the memory for all those who dare to join.